Yes, I read Iain Dale: the Conservative party’s unofficial blogger-in-chief. He’s a good writer and a great blogger but I am bewildered that he sticks with ‘blogspot’. Pony. 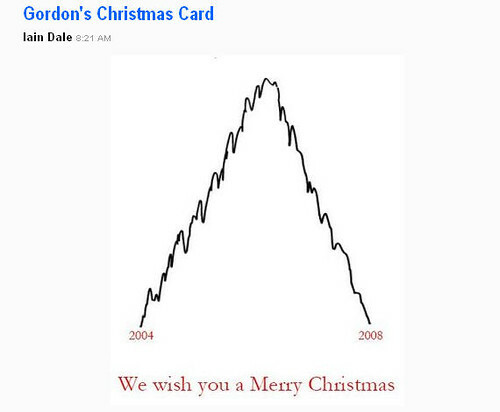 He shared Gordon’s Christmas card and it made me titter. Hat tip.